Just got an email from portrait artist Christian Furr with this website address. I did the test and got Pop Art, my opposite was Impressionism and my complimentary Free Form. Me! Pop art, impressionist paintings, free form, and to be honest, all manner of art come up at auction in London quite regularly, usually at really great prices which is one of the very big reasons why I love living here. 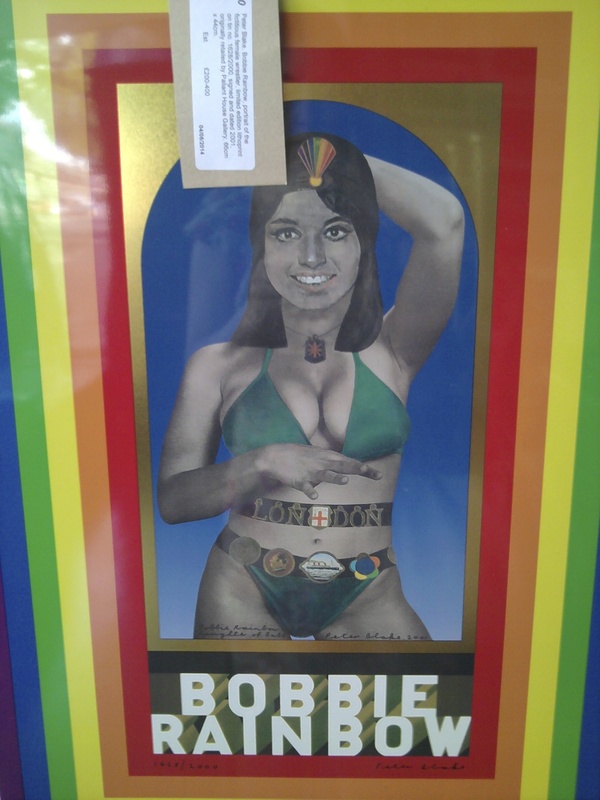 This Peter Blake limited edition lithoprint on tin sold at High Road Auctions in August just gone for £200! Mind you there are the commission and VAT fees to keep in mind which generally work out at around 25% on top of the hammer price. Still, it beats retail prices. So now that you’ve done the test and know what you are, you can get collecting!